Reading gives you knowledge. It takes you to places that you would never be able to go. If you give your kids a love for reading and learning, they can teach themselves almost anything they want to learn and go anywhere they want to go. 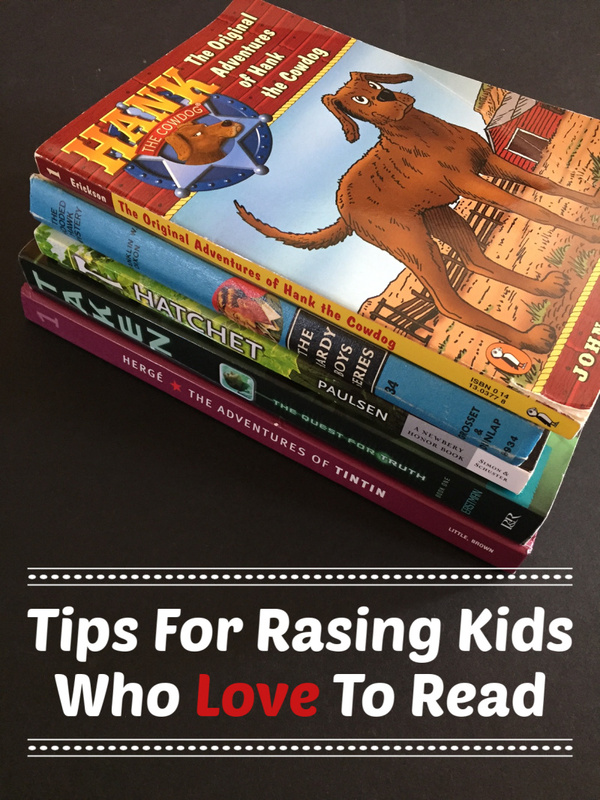 Raising readers is not an easy task. 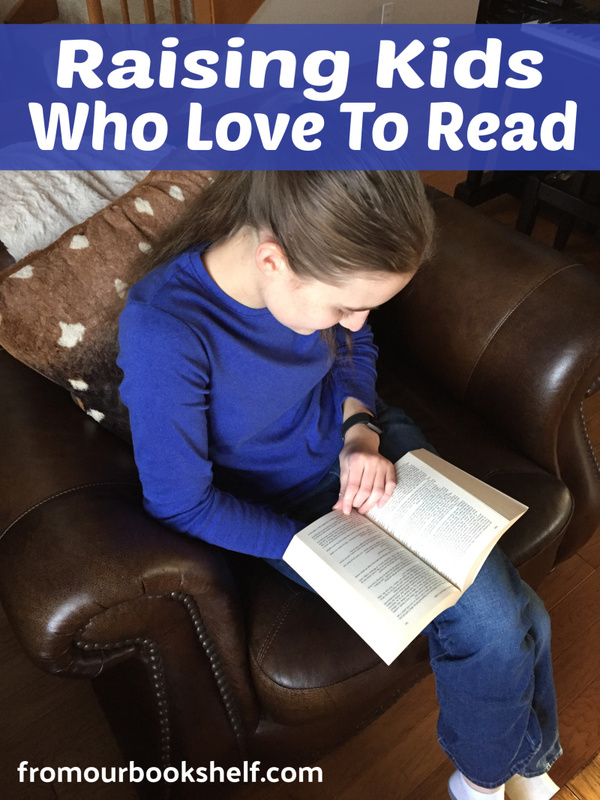 With sixteen years of homeschooling, we have had many ups and down when it comes to reading. I have one child that has always loved to read. She begged me to teach her to read when she was four. She has loved reading and learning ever since. I have another child that was a reluctant reader. She wanted to do it her way from the beginning. She fought phonics for several years. I was about to give up when she taught herself to read on her own. She basically threw phonics out the window and taught herself to sight read, but it took several years for that same child to actually love reading. Then there is my son who only recently started to love reading. He could read, but besides school and required reading, he read very little. However he is a binge reader. By that I mean he tends to find a book or author he loves, and then reads everything he can by them in a fairly short amount of time. Then he doesn’t read. Then something will catch his attention, and he will read ten books by the same author. An example of this is the Hank the Cowdog books. I think he has read every book in that series, and there are seventy some books in that series. Years ago he read almost all the Hardy Boys. Yes, all of them which is around seventy books. A few months ago he found an author he loved, and he has now read at least ten more books by the same author. He is definitely a binge reader when he finds something that he loves. All three of my kids are readers, but they are all different kinds of readers. One of my goals as a parent and as a homeschooling mom was to give my kids a love of reading and learning. But how do you give your kids a love of reading and learning? Kids follow after their parents. Not always and not in all ways, but they watch us and what we do. We set the example. We can tell them to read, but if they never see us reading, they will never understand the importance of it. Want your kids to read more? You need to read more. They need to see you reading. They need to see you learning. They need to see that you love to read if they are ever going to learn to love reading. Maybe everywhere is a bit of a stretch, but that is the idea. Leave books out on tables and shelves. I have always decorated with books. Some are pretty books, but others are books that I hope my kids will eventually pick up and read. If the book is there, they usually get curious about it and will at least give it a try. Books don’t have to be placed just on a shelf in the corner. Leave them on the coffee and end tables. Leave them in baskets. Surrounding yourself with books says a lot about you and the culture of your home. People that love to learn surround themselves with books. Buy books. This is a simple one, but building a home library helps teach your kids the importance of reading. In our house books are important. I don’t buy or collect a ton of stuff, but I always joke that I collect books. But in the end I truly do collect books. They are in every room of our house. The things around us tell the story of what is important to us. If books are all around your kids, they will realize how important reading and learning is. Taking your kids to the library is not only a free way to read more, it puts all kinds of books at your fingertips. It provides a wide range of books and subjects that is almost impossible to provide at home. It also puts them in contact with other people that love books. They will see that all kinds of people out there love reading and love to learn new things. Most librarians get excited about books and learning. Encourage conversations with the librarian. Teach your kids to ask questions. Libraries are made for learning. Use them. 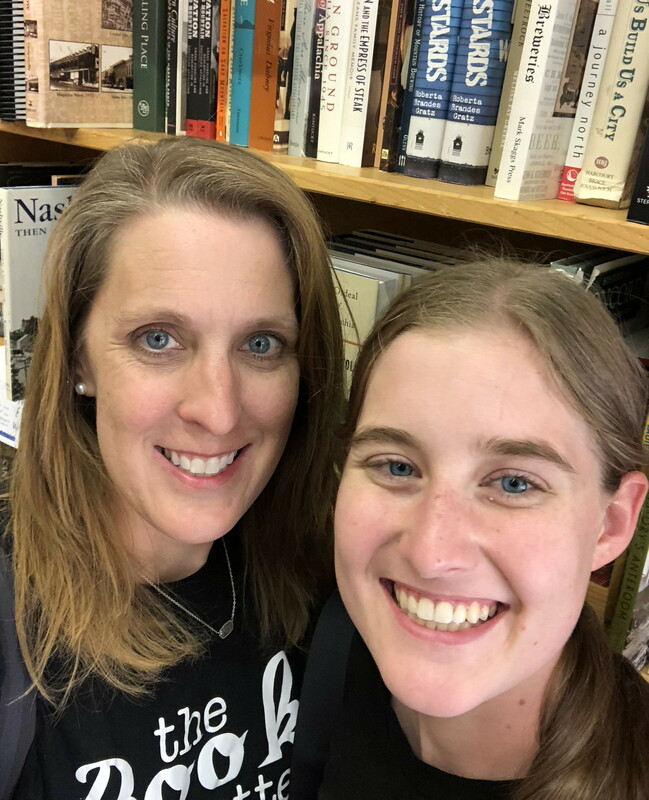 There is a wide range of ways to make books and learning an experience, but one way that our family does it is to visit book stores. When we are on vacation, we almost always seek out bookstores. Sometimes they are used small town bookshops, and other times they are large well known bookstores. No matter what type of bookstore we visit, it has created some fun memories for our kids. We don’t by a lot of souvenirs when we travel, but we do buy books. My kids will often remember what book they read where. I will hear something like oh I read that on the trip to grandma’s house. Or we bought this book when we were at the beach. 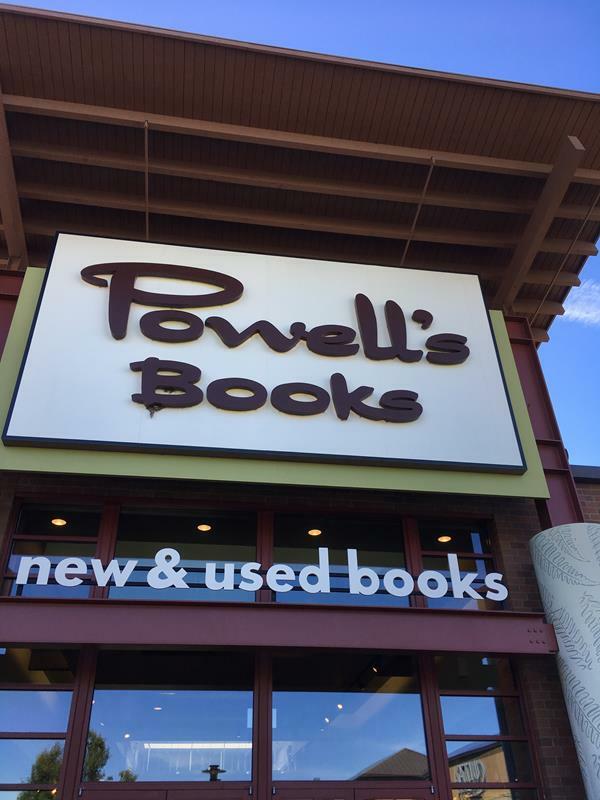 Or remember those books we bought at Powell’s Bookstore in Oregon. Last year when we visited my family in Oregon, we went to an Amazon bookstore. Like a real bookstore owned by Amazon. We let each of our kids pick a book to buy. Instead of packing the book in a suitcase to haul halfway across the country, we could have bought the exact same book online and had it shipped to our house. But by buying it at the Amazon store, we created memories. I have already heard my kids talking to several people about the Amazon bookstore and what book they bought. They might not remember a lot about that trip, but they will always remember the trip to that bookstore. Surrounding your family with people who love reading and learning can be challenging. I know that this can be hard especially with young kids, but try hard to find at least a few friends who love to read and love to learn. Your kids will pick up on conversations. They will remember what books people love and recommend. They will pick up on everyone’s love of knowledge. Books unite people. My kids can sit in a room full of people older than they are, and they can talk books. They talk about books they are reading and books they want to read. They can talk about books they like and books they dislike. And they learn what books other people like to read. Several of my kids have totally different reading tastes than I do. They don’t really like many of the books I recommend, but they will often read something someone else recommends. There is something about mom telling you to do it that makes it less fun, but if a friend recommends it, it often sounds way more exciting. I will always be grateful for a neighbor that has loaned my kids books. If I had recommended the same books, they probably would not have read them, but because he gave them to them they read them. I have heard my kids talk about history, war, and theology with a room full of people way older than they are. Some of our favorite conversations start with talking about books. Books give you a jumping off point to so many conversations. Expose your kids to people that love reading and learning, and they will pick up on that love of knowledge. My kids all have different interests. They also have different interests than I do. There are some books that we all love, but in general my list of favorite books is vastly different than my kids. All three of my kids all have different favorites as well. I loved Little House on the Prairie as a kid. I have read the entire series at least five times. One of those times was as an adult. My oldest daughter shared my love of Little House on the Prairie. She also love the American Girl books and devoured them all when she was younger. That style of books were what she loved. When my other daughter started reading, I kept expecting her to read those same type of books. She hated them. At a very young age she told me that Little House on the Prairie was stupid. She felt the same way about the American Girl books. She didn’t feel like she could relate to them at all, and she wasn’t interested in reading them. It took me forever to find books that she enjoyed, but once we found them she took off with her reading. Once I took away my expectation of what she should be interested in and let her read more of what interested her, she started to out read everyone in the family. She read WWII books, Presidential biographies, westerns, and so many other books that most ten or twelve year old girls would never read. But I didn’t really care because she was reading and learning. All three of my kids have done this in various forms. Once I took down some of the boundaries of what I wanted them to read and let them read more of what they wanted to read, they enjoyed reading more. When they enjoyed it more they read more. Obviously this varies with each kid and family. My oldest daughter would not have enjoyed a non fiction war book at twelve. She wouldn’t have been ready for it, but my other daughter was. Use caution with what you let your kids read, but also let them read what they love and are interested in. Put books in their hands on subjects they enjoy. Yes, I paid my kids to read. At various times over the years I paid my two youngest kids to read. It worked for us. We paid them a penny a page, which ends up being anywhere from a dollar a book to several dollars a book. The reality is that when they refused to read, money motivated them. 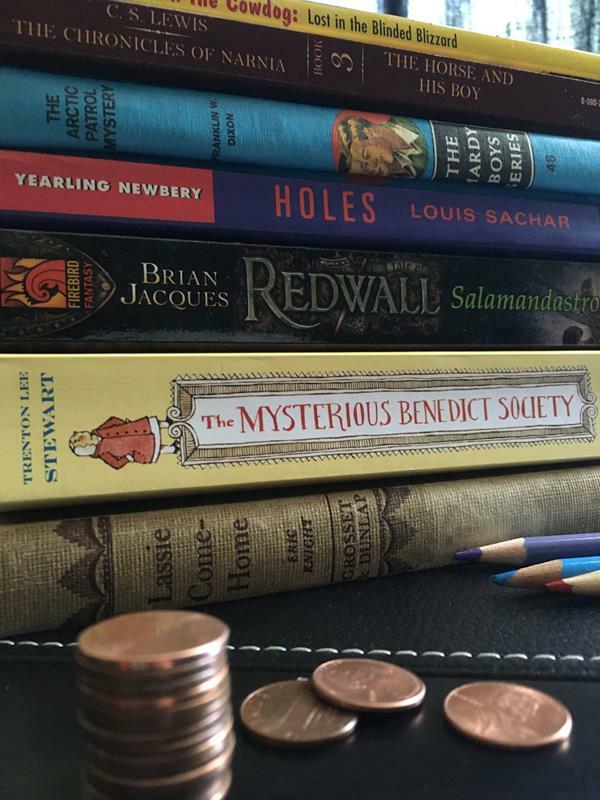 My daughter shared the story of how and why we paid her to read. She also shares how grateful she is that we paid her. You can read her story here of how paying her helped give her a love of reading. Audio books are different than picking up a book to read, but there is still a huge value in using them to teach your kids a love of reading and learning. Audio books often inspire learning. There have been quite a few times that my kids listened to a book on audio and then went on to read more books by the same author, the book version of the rest of the series, or books on the same topic. A good audio book can be the starting point to reading more and more books. Audio books are also great for kids because they can multi task. You can listen to audio books in the car. You can listen to them while doing puzzles, Legos, coloring, drawing, cleaning the house, and so much more. You never know how using those pockets of time listening to audio books will inspire them to keep learning and reading. I debated on adding this one because I love real books. Real paper books will probably always be my favorite, but I see the value in ebooks. My son went through a stage where he wouldn’t really touch a regular book, but he loved the idea of being able to read on a device. I got him a Kindle, and he loved it. There was a year or two that he read quite a bit simply because he was fascinated with the technology part of reading on a device. I would have preferred him to read a regular book instead of a device, but he was reading so I let him read. It also let him always have books with him. He didn’t always want to take a book some place, but taking a Kindle somewhere seemed fun and cool to him when he was younger. There is nothing wrong with making reading “cool” and letting your kids read ebooks. If they love technology and devices, let them read using them. Don’t stop putting regular books in front of them, but don’t say no to ebooks either. This one might be the most important one. Don’t give up if they are not interested. Keep at it. Keep doing the things I just mentioned. Surround them with books. Read more yourself. If you have young kids, read aloud to them. Talk about books and reading around them. They might not be a big reader right now, but they are watching, and they are learning. Someday your child might be like mine and your non reader, may just start reading way more books than you do! Thank you for these tips! I enjoy reading but don’t have a lot of time for it with three young kids 🙂 I mostly read at night before bed but I’d like to incorporate more family reading time. My oldest is in first grade and reading is part of her homework each night – so she doesn’t always want to do it, even though she’s a fairly good reader. I’ve started to let her pick which books to read and I’ve taken her to the used bookstore a couple times to find books that interest her.